River View Apartments is a residential and retail neighborhood located on land previously occupied by the headquarters of Wyse Technologies. 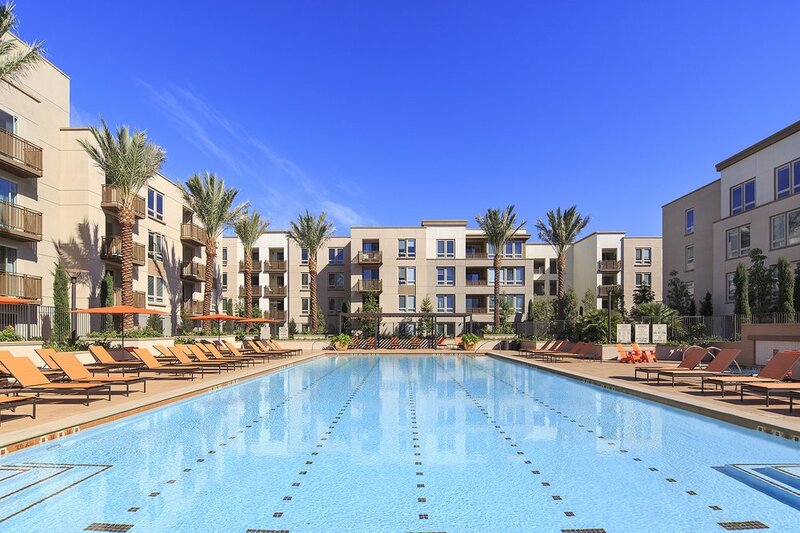 In addition to providing 20,000 square feet of retail space and 1,312 rental apartments, the community also includes a 5 acre park and access to pedestrian and bicycle trails, and light rail transportation. Encompassing over one million square feet, River View was named the largest construction project of 2014 in San Jose by the San Jose Business Journal. River View is comprised of five separate buildings, each consisting of a four or five-story wood framed structure on a two or three-story concrete podium. The podium provides support for residential buildings, courtyards and pools, as well as providing subterranean and grade level parking for 1,697 vehicles. Peoples Associates provided the design for the wood framed portion for four of the buildings.